Mama's Cup: "And Don't Get Into Mischief." Happy Birthday, Ms. Potter. A woman ahead of your time, your legacy has certainly lived on. 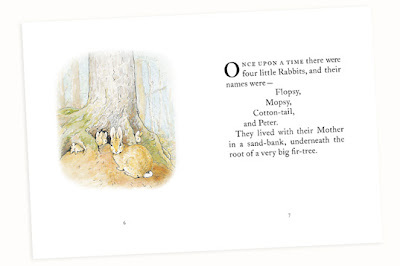 Visit the lovely World of Beatrix Potter and Peter Rabbit. Or view some truly precious images by Beatrix Potter here, via the pretty Periwinklebloom.